Newly Remodeled Lodge & Addition! 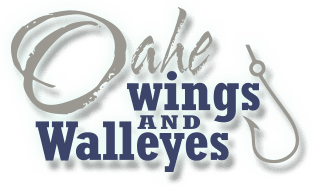 Our lodge is the official home of Oahe Wings & Walleyes. The lodge is a specialty resort which caters not only to our guided hunters and fishermen, but outdoorsmen and women hunting and fishing on their own and families traveling around South Dakota visiting the various attractions. Our lodge was constructed in the spring of 2004 and overlooks the beautiful South Dakota prairie. It is located 2.5 miles north of Akaska, SD near Lake Oahe. There are six rooms, each with two full beds and one single bed, and a private bath. There are three separate sitting areas, one on each floor, each with satellite television. 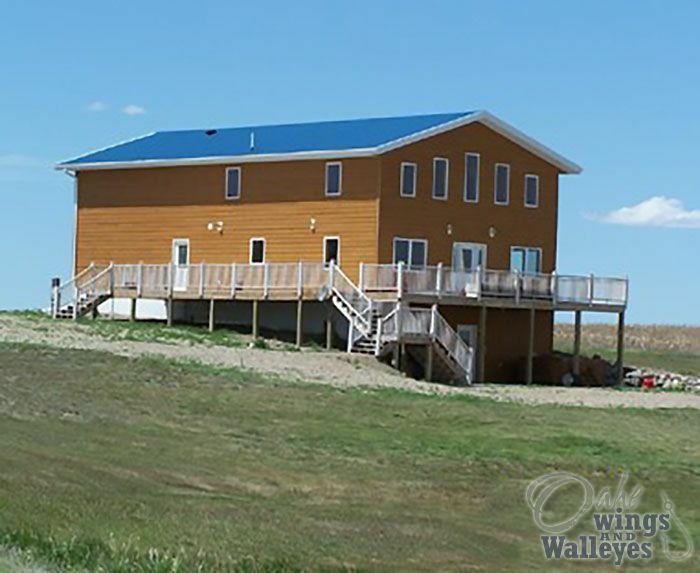 There is a wrap-around deck and a walk-out basement to enjoy the great outdoors and just relax after a day on the waters of Lake Oahe or in the field. Come and enjoy the peace and serenity of the South Dakota prairie while staying with us.